We know planning a party can be a little stressful. Let us help it to be Stress-Free! Here's a plan! Set a date and choose your party time. We do try to keep to our times, so we can fit all our bookings in. We like you to give your guests 30mins arrival time, you may like to feed your guests first so you may add another 30mins. Make sure your party doesn’t clash with seasonal dates, other children’s parties and sports events. *Weekends can be pretty busy. After school parties are another option. Our times during the week are more flexible. Have everyone reply by phone or text. Parents do forget, don’t let this stress you out, call them up if need be and if you don’t have an answer from some, just let us know how many you invited. We don’t want anyone missing out if we can help it. 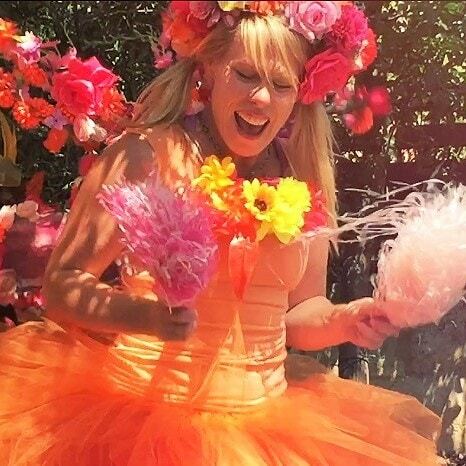 From experience a 2hr – 2.5hr long party is the perfect time frame for kids before they become overtired. Keep it simple. first half hour – arrival, meet and greet guests and settle in. (we also arrive to set up). next half hour – food, if the birthday cake time is ready we will sing Happy Birthday and have a photo, before we say goodbye). next half hour – goodbyes and parents picking kids up may spill into this 30 minutes naturally. means you have everything you need and there is no need to be carting your party to another location. remember we will have the kids entertained for the hour and their attention in the last 20mins. The toilet is easily accessible. Shelter options if wet, to hot or too windy. It is a good idea to check where the sun will be at the time of your party if planning it the back yard. 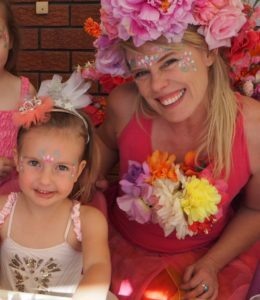 The Fairy Queen has many parties in a day, a full morning in the sun can make entertaining difficult for her and the kids. 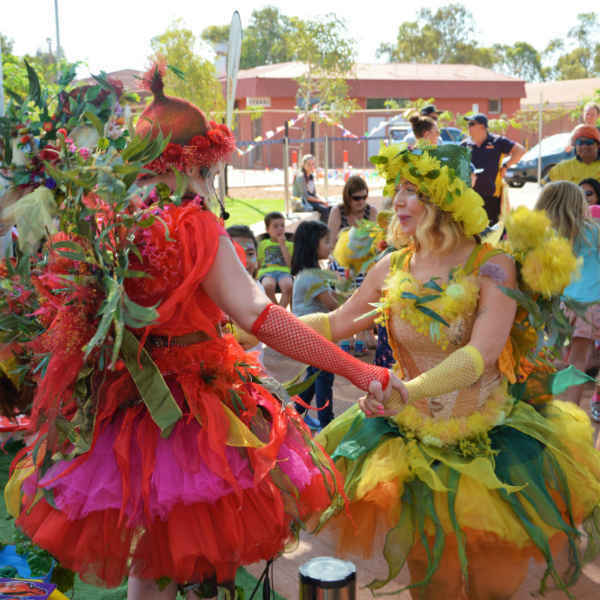 We are more than happy to come to parks or outdoor venues. be sure to give us plenty of warning so we can have our Ipod dock fully charged. have a plan B just in case the weather creates a concern. If the weather is great, this means many others will be thinking the same, so you may need to reserve a spot early. 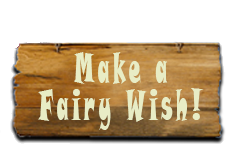 Make sure there is sufficient parking for your guests and of course the Fairy Queen. If we are parked far away we may need a little help to cart our equipment to your party spot. Make sure you give us a clear update of where you are as many parties can be celebrating on the same day. Make sure you know that the toilets are accessible and decent for your guests. Check with your local council, they usually have a list of places to hire in your local area. Play groups are fantastic as they usually have a great playground, a good kitchen with great child facilities and are usually well priced. Make sure you have checked the venue, whether it has reasonable toilet facilities, kitchen, has a child safe play ground and easy parking for guests. a local church hall can also be a great venue. Good idea to check the space first, you don’t want to much echo and children and adults all piled in together. It can be a little challenging if a large party. Have everyone arrive 30 minutes prior to entertainment time. This allows late comers to arrive and kids to settle in and give gifts. We want all the guests to be present when your entertainer appears. Have as much food preparation done before the party so you can focus on enjoying the event, saying hi to your guests and taking photos. You may have light snacks for the kids before the party, depending on the time it starts, but the more sugar, the more the children will struggle to concentrate and their taste buds will be screaming for more or a drink through out the entertainment. 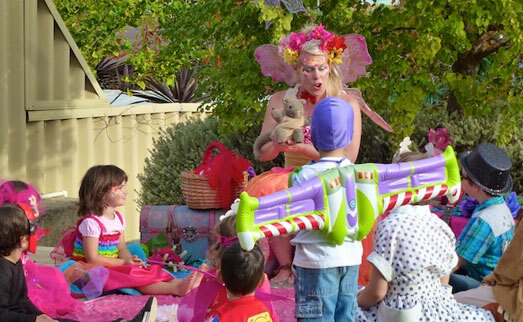 It works best to bring the party food out near the end of the party, when the Fairy Queen is teaching the kids a song. This gives you sufficient time to pop hot food in the oven, have snacks out on the table and be ready for the kids. They will head to the table after their faces are decorated. Serving food during the party is very disruptive and once one starts they all want to. 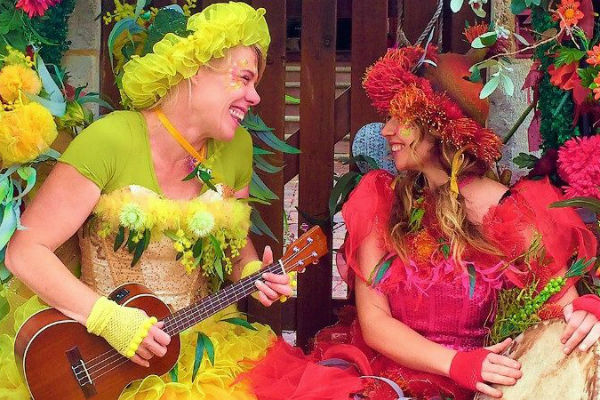 Parents are welcome to stay and watch, but it is very tempting to chatter through out the party, which makes it difficult to share Fairyland secrets. It is not so Fairy like to holler, but if the children can’t hear they will lose concerntration. If you are expecting a large amount of adults, a separate space works best. Then they can enjoy being with their friends whilst the kids are entertained and come and enjoy the entertainment when they wish.